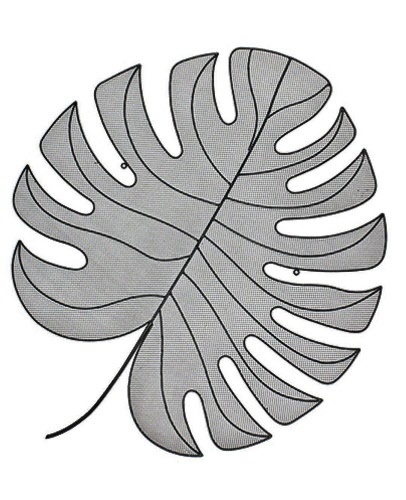 Extra large tropical Monstera leaf wall art that would look great indoors or in a covered alfresco area. Painted black metal / mesh. Two holes for easy attachment.